Don't miss out on this 3 bd/1.75 ba home located close to the lake, medical facilities, shopping and schools. The open floor plan has a living room, dining room and kitchen with a skylight. The master suite is separate from the other bedrooms. The yard is fully fenced with underground sprinklers and a 2 car garage. Call today for a showing! 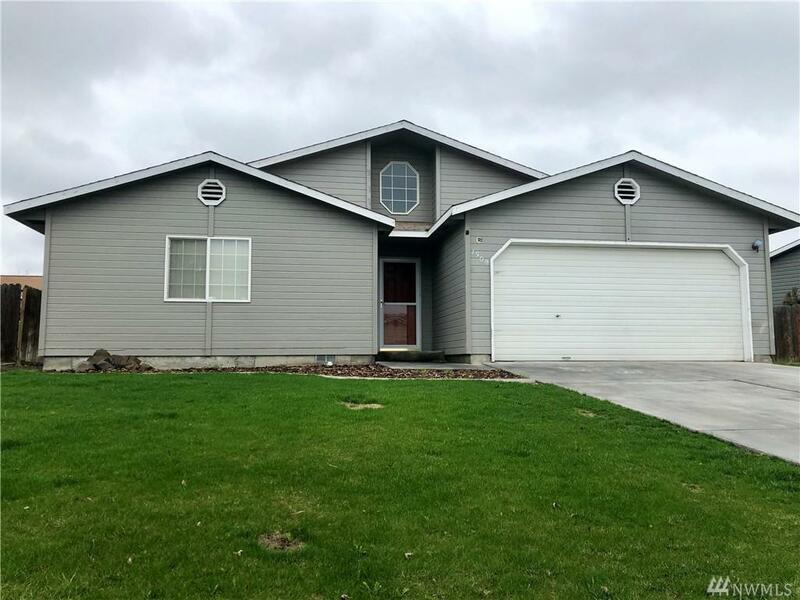 Listing Courtesy of Help-U-Sell Columbia Basin. Listing information © 2019 Northwest Multiple Listing Service. Information is based on data available to the associate, including county records. The information contained in this listing has not been verified by Alchemy Real Estate and should be verified by the buyer. The listing data relating to real estate for sale on this web site comes in part from the Northwest Multiple Listing Service. Real estate listings held by brokerage firms other than Alchemy Real Estate are marked by the "three tree" symbol; detailed information about such listings includes the names of the listing brokers. Data last updated 2019-04-23T00:16:56.55.